Indians all over the world has celebrated Diwali on November 11. Diwali is the festival of lights. People decorate their house with lights and Diya’s. It’s celebrated as a win over darkness. Lights illuminate not only the house but also the life. People decorate their house with Diya’s and colorful lights and the most important thing of Diwali is crackers. Sharing increases the bonding in humans. People perform puja during evening and share sweets. Children like this festival as they can burn lot of crackers. Elders take special care while children burn crackers.as we know that this is festival of lights. Did u imagine how India would appear in this colorful lights? How India would glow in Diya’s? How India would look from space? Wonderful thought isn’t it? 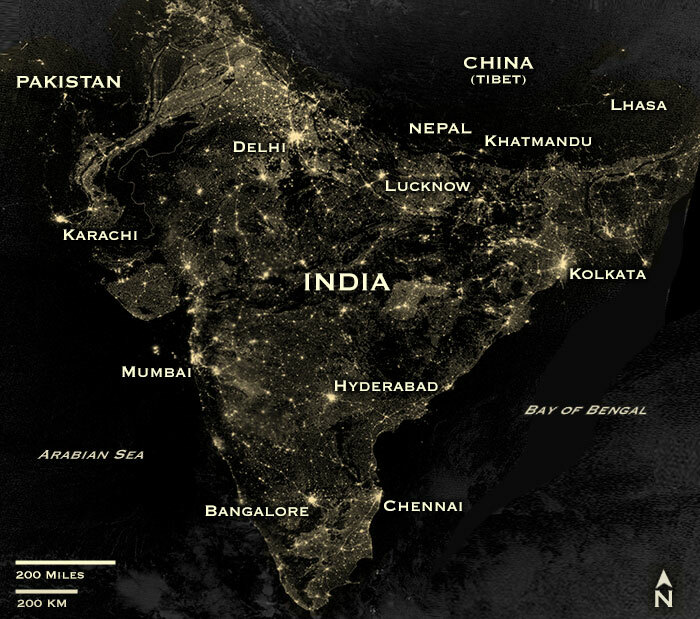 The National space agency of US, NASA has released some pictures of India from space taken during Diwali evening. On the auspicious Diwali night NASA has released a picture of India, the Visible Infrared Imaging Radiometer Suite (VIIRS) on the Suomi NPP satellite captured this night-time view of southern Asia. But all these are fake pictures. Yes all the pictures released after Diwali night are fake pictures which create a havoc in social media. The image is based on data collected by the Visible Infrared Imaging Radiometer Suite. This detects light in a range of wavelengths from green to infrared. The image has been brightened to make the city lights easier to distinguish. 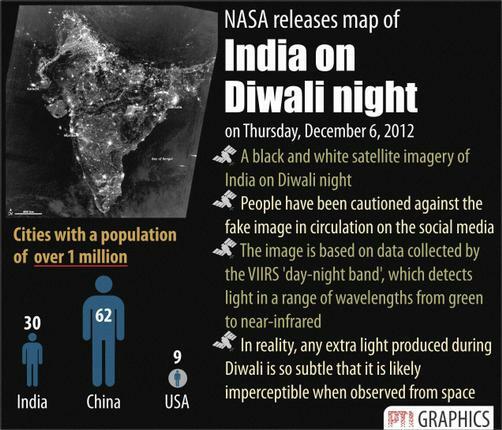 NASA has confirmed that most of the bright areas in the imagery released by it are cities and towns in India. The image is the population of India during 1998,1999 and 2003.Cities in Bangladesh, Nepal and Pakistan are also visible on the edges of the image. An image that claims to show the region lit for Diwali has been circulating on social media websites and the Internet in recent years. In fact, it does not show what it claims. In reality any extra light produced during Diwali night is so subtle that it is likely imperceptible when observed from space.